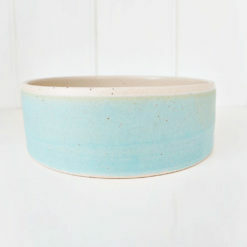 These handmade pottery dog bowls are the ultimate in style at feeding time! 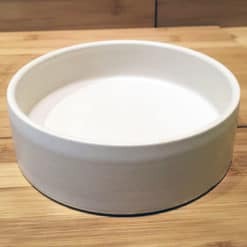 Part of a bespoke dog dining collection, these bowls are handmade to order for us by a family of potters who bring their expertise and craftmanship to dog dinner time. 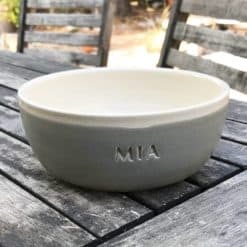 The rich earthy tones and neutral colour palette of these bowls will complement most households and your dog will enjoy a superior dining experience! 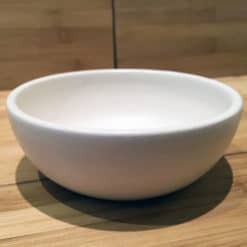 These pottery dog bowls come in a traditional straight sided shape and are sturdy enough for even the messiest of eaters. These pottery dog bowls are dishwasher safe.